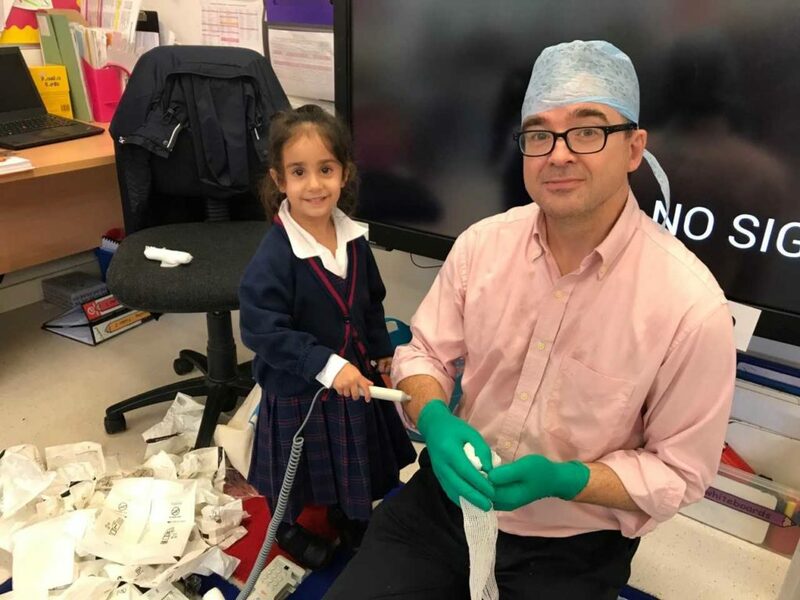 Our Reception girls were delighted to welcome Vascular Surgeon, Mr Kelleher, from St George’s hospital in Tooting. He talked to the girls about the importance of good hygiene to stop the spread of infection and to always keep wounds clean. As you can see the girls were very happy to try on the surgical gloves, hats and masks. Mr Kelleher answered lots of interesting questions including ‘where do you sleep in the hospital?’. It was fascinating to hear about Mr Kelleher’s training and to see the machine he uses to check that a patient’s heart is working properly.